This vintage, Disney print features Mickey and Minnie Mouse in hand-drawn motifs. 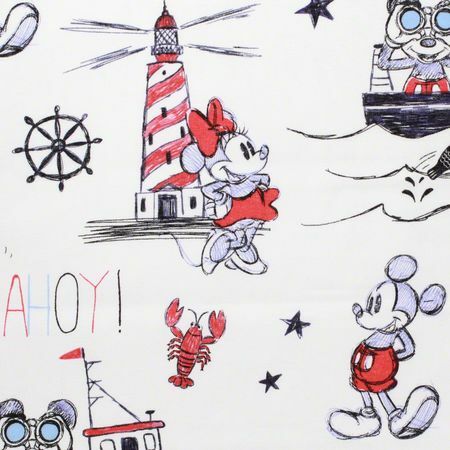 Join Mickey Mouse on a boat ride and Minnie Mouse at the lighthouse. Perfect for decor, apparel and many other crafting projects. 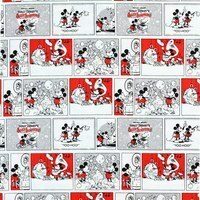 An ideal companion to any print in the Disney Vintage Mickey and Minnie Mouse fabric collection. Laundering Instructions: Machine wash, cold, with like colors. Do not bleach. Tumble dry on low and remove promptly.